The quartet of Good & Young plays old treasures and original gems with all the spirit and know-how their many years and miles have earned them. Focusing on songs and tunes written by Rick Good (banjo, guitar) and Linzay Young (fiddle), the band, including rhythm section and dancers Sharon Leahy (guitar, bass) and Emma Young (bass), perform their brand of American music—roots to branches—with driving banjo, soulful fiddling, and heavenly harmonies. Rick Good met Sharon Leahy on the old time circuit of the seventies. They have been performing with their daughter, Emma Young for more than twenty years, most notably in their dance and music company, Rhythm in Shoes. 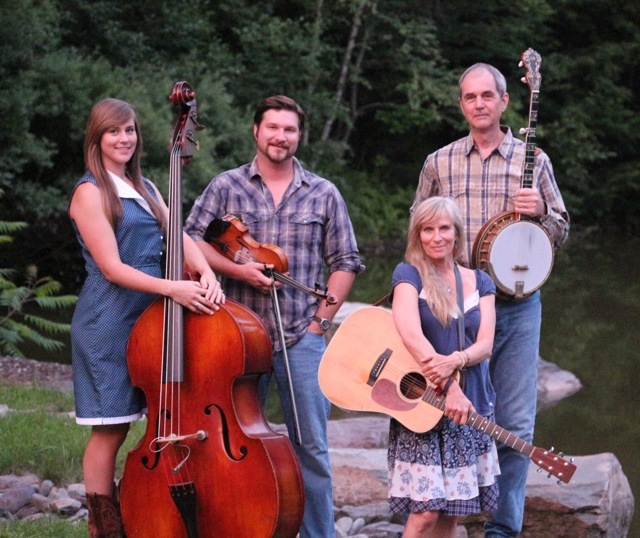 Good & Young began making music when the family band grew to include Linzay Young, former frontman for the Red Stick Ramblers. Rick was a 2010, Ohio Heritage Fellow and is recognized and respected for his accomplished banjo playing, heartfelt singing and crafty songwriting… Sharon has received numerous fellowships from the Ohio Arts Council and the National Endowment for the Arts. Her love and understanding of American tradition is clearly seen and heard through her award-winning choreography, artful singing and driving rhythm on guitar and bass… Emma, a rock-solid bass player and a fine harmony singer, was presented the Josie Award, her hometown of Dayton’s highest honor for dance, in 2003… Linzay is a versatile fiddler, soulful singer & talented songwriter. A founding member of the notorious Red Stick Ramblers of Louisiana, he is a true link in the chain of Cajun Music and Culture whether he’s wielding a fiddle bow, playing his accordion or cooking in a blackpot. Carrying on the family traditions of song and dance, Good & Young serve it up with real joy and know-how. 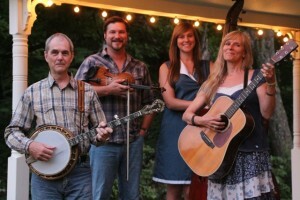 … Oldtime Banjo, Cajun Fiddle, Duet & Trio Singing, Clogging, Tap Dancing, Social Dancing (including Swing, Square & Cajun) and Cajun Cooking. Southwest Louisiana is one of the most culturally rich areas of our country. 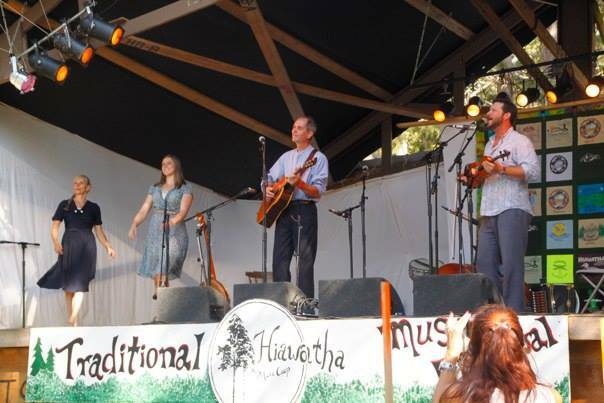 Deeply-rooted and soulful traditional music, unparalleled social dancing and signature cooking is enjoyed by all with great enthusiasm. We are blessed to be a part of it. 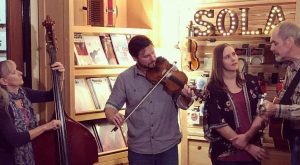 The band’s most recent live appearance took place on the 7th of December at Sola Violins, in downtown Lafayette. 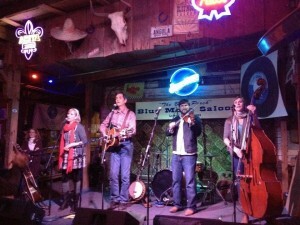 It was a sold out show in a wonderfully intimate setting. 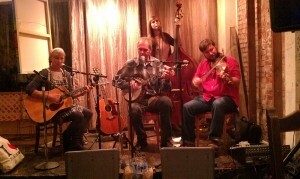 Thanks to our good friend, shop owner and righteous fiddler, Anya Burgess for hosting this memorable event. Other G&Y appearances in the region include the Saint Street Inn the Blue Moon Cafe, in Lafayette, and the Joie de Vivre Cafe and Cafe Des Amis, in Breaux Bridge. Good & Young held forth two years in a row at the Le Gran Hoorah Music Festival at Chicot State Park, near Ville Platte. Be sure to regularly check our CALENDAR page for updates. The Acadiana Center for the Arts presented an evening of Cajun, country and oldtime music and dance from a pair of family bands, November 20-22, 2013. 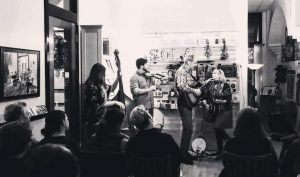 The celebrated Savoy Family Band teamed-up with our own Good & Young family band for an eclectic and entertaining evening of American traditions. 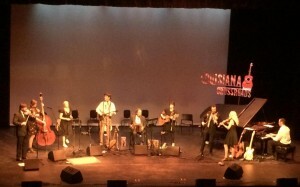 This versatile collection of moms, dads, sons and daughters, brothers and sisters, husbands and wives took to stages in both Lake Charles and Lafayette, blending in duets, trios and quartets, contrasting and combining traditions and coming together in a full nine-piece orchestra of intoxicatingly jubilant music.